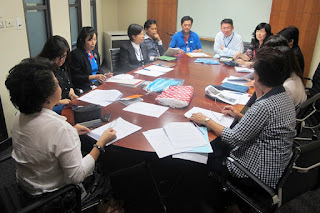 The Thrid TISCO Foundation Working Group Committee’s Meeting for the year 2012 was held on May 25 , 2012. 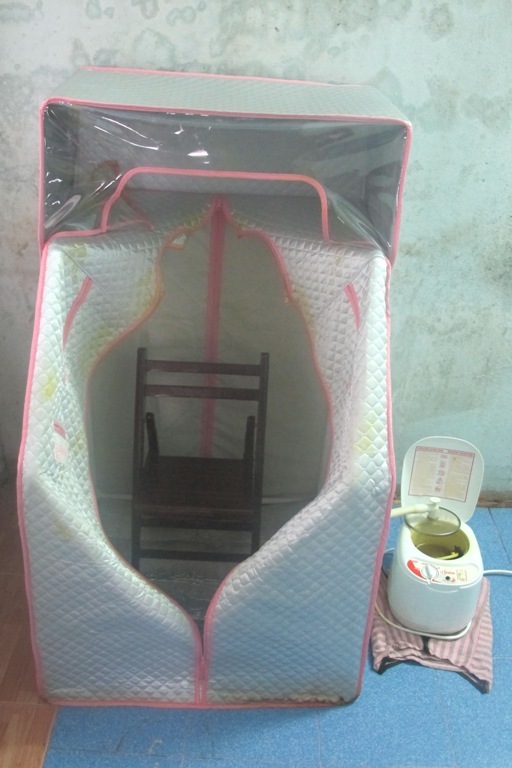 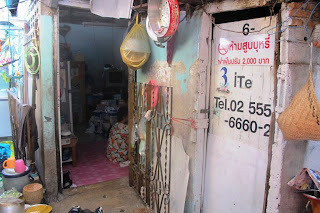 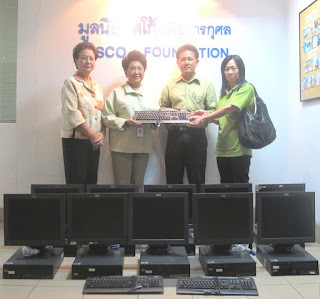 On May 17 , 2012 , We have visited Khun Junphen Lhorthong , at Romklao Housing Authority, Bangkok, who received herbs fumigator , massage cushion, bedsheet and health pillow for Thai Traditional massage from TISCO Foundation recently , she told us that she is doing well and can earn average 400-500 baht per day . 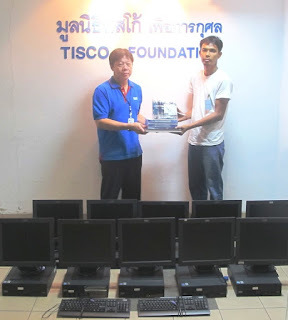 Khun Chineewan Thongpin , Senior Compliance Officer , TISCO Financial Group PCL. 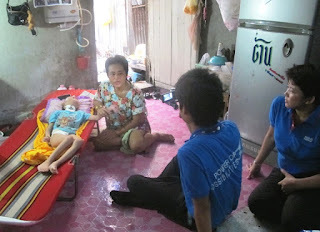 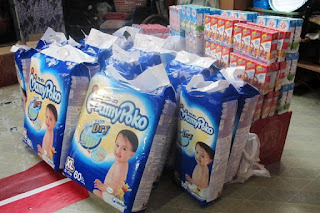 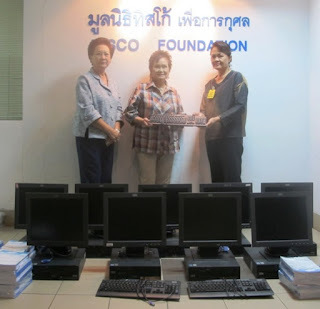 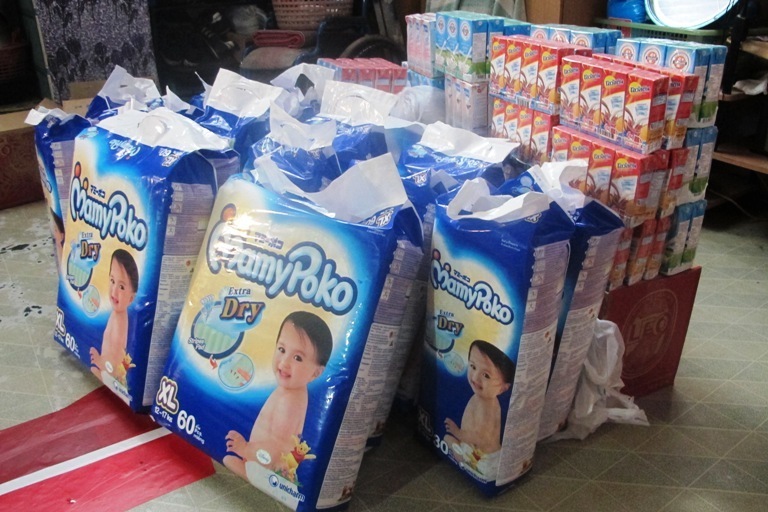 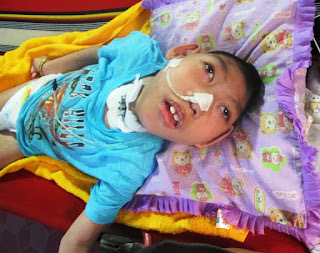 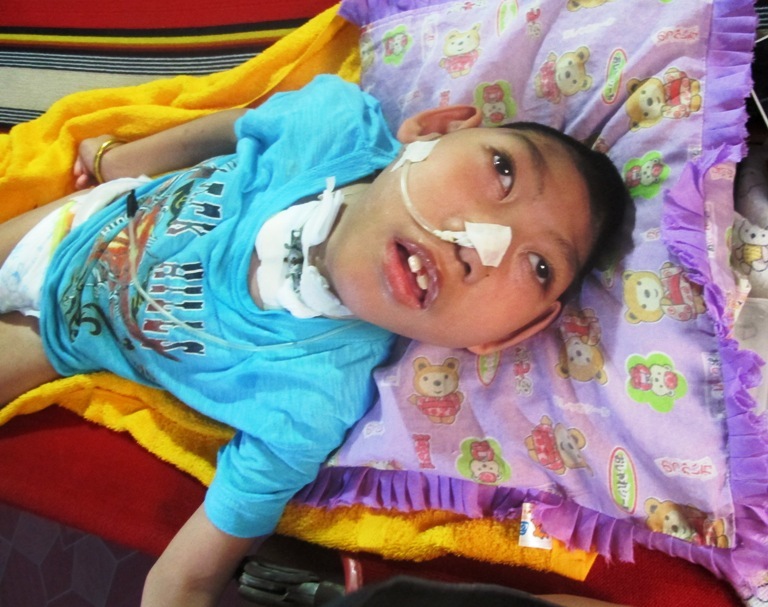 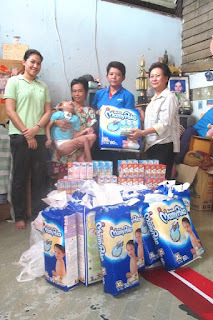 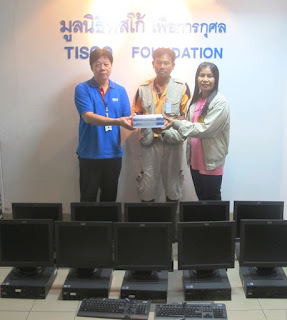 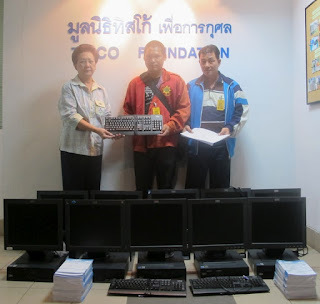 , on behalf of TISCO foundation , Working Group Committee , presented milk , diapers , to Jirakorn katsawat , Cerebral Palsy Patient , at soi Watboromniwas , Pathumwan District , Bangkok, on May 10 , 2012. 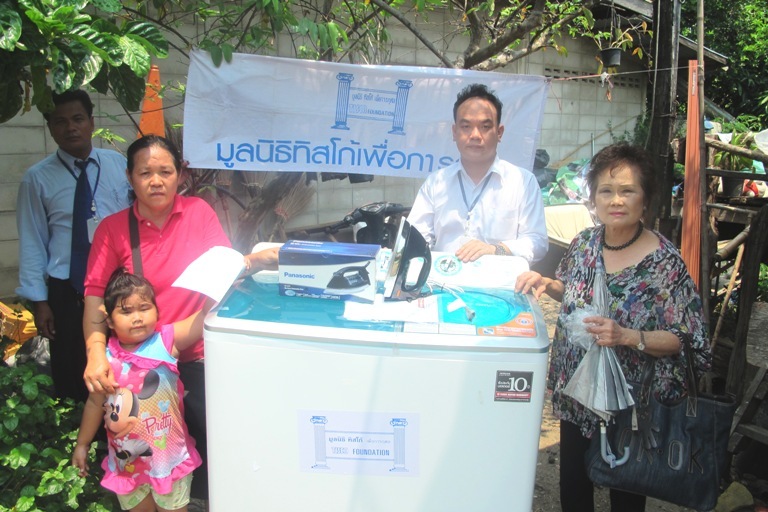 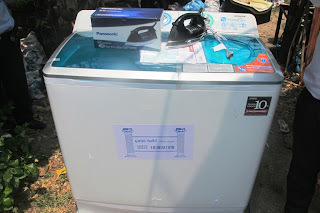 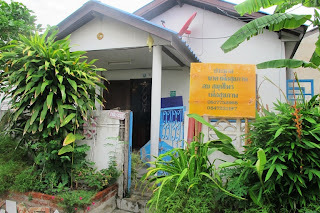 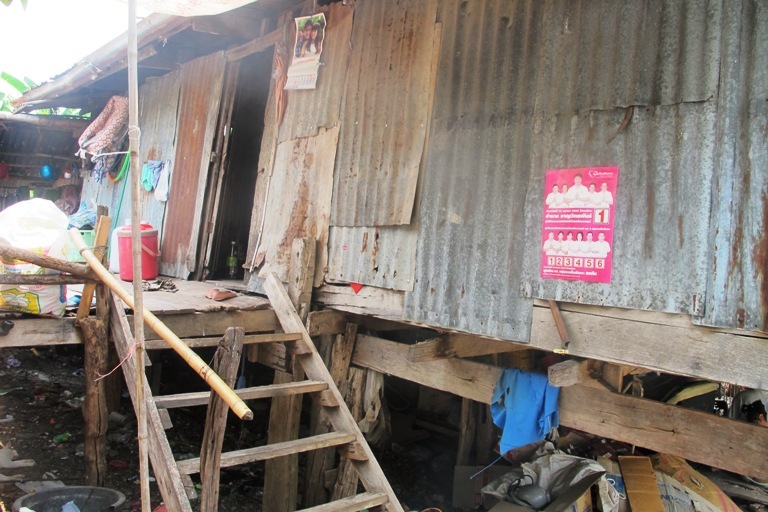 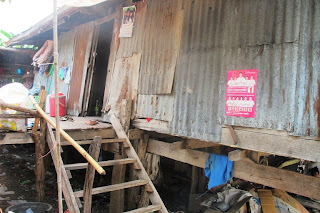 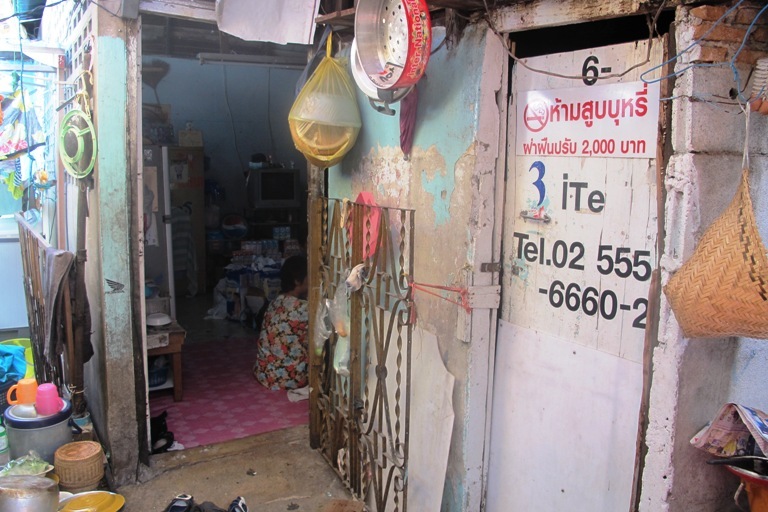 Khun Srisooda Boon-Long, Director of TISCO Foundation , presented a washing machine and one iron for donation to Khun Buaphun Chaisorn , Laundry Vendor , Lopburi , on Apirl 26 , 2012 .